The library provides desktop computers loaded with the 2016 edition of Microsoft Word and Excel. One Mac computer is available. Using your own device? The library offers free high speed wi-fi. Black and white printing from the desktop computers is available for .15/page, while color copies cost .40/page. A scanner and photocopier are also available. Photocopies are .15/page. Scotch Plains Public Library in partnership with Mountainside Public Library offers a free monthly Career Networking Group, facilitated by a local career coach. Meetings alternate between the libraries from September through July, and are typically held on the second Monday evening of the month. Check the events calendar for program details and registration information. We offer a dedicated collection of career books and online databases for job seekers interested in targeting and researching companies, searching job listings, formatting resumes and cover letters and preparing for interviews. Search by topic, or browse the full-text of publications such as BusinessWeek, Entrepreneur, and the Harvard Business Review. The library has an excellent collection of high quality, credible digital resources from academic journals, encyclopedias, magazines, newspapers, and ebooks. Read the latest issues of your favorite full-color business magazines on your computer or mobile device with Flipster! 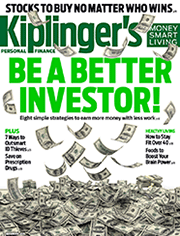 Available titles include Inc. , Kiplinger’s Personal Finance, and Fast Company.